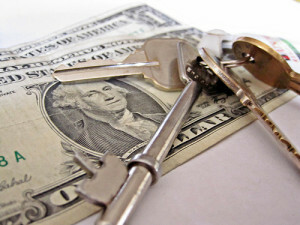 Avoid the Pitfalls of “Self” Property Management. Let’s face it, this Central Florida area is a mecca for short term vacation rentals. Even long term rentals are increasing in popularity. The demand for short term rentals is through the roof, and there are “businesses” on every corner wanting to help you fill the need for servicing your investment property. Perhaps you are also the proverbial “do-it-yourselfer” and want to save the money of paying someone else to do it for you. The old saying, “the devil is in the details”, is true in the property management business. The Department of Revenue and the IRS are active in pursuing homeowners who are not following the proper procedures. There is revenue they want to capture for this type of business. In addition, the Landlord/Tenant laws for the State of Florida are complex and have gone through recent changes. Having an expert in the property management business and an attorney who specializes in preparing the leases can save you thousands in fines, attorney’s fees and court costs. Warning! Knowing What NOT to do! 1. Do not avoid paying the state sales tax, tourist and discretionary taxes (which vary from county to county) on your short term rental. They can come after you with penalties and interest. Be aware that tax is also required to be paid on all fees, including cleaning fees and pet fees collected at move in. 2. Do not place the deposit in an out of state bank account. Security deposits cannot leave the state of Florida and cannot be commingled with your personal accounts. If the funds are put in an interest bearing account, the interest earned must be disbursed according to Florida Statutes. 3. Do not pay a person to rent out your property who does not hold an active Florida real estate license. This is a real estate licensed activity and property management without a real estate license is considered a felony in the State of Florida. 4. Don’t use a lease that doesn’t properly protect you as the owner. It’s best to use an attorney who is an expert in Landlord / Tenant law, even for short term rentals. 1. Make sure each occupant is listed on the lease. 2. Make sure you have the proper homeowner’s insurance. 3. Have your inventory listed and photographed. 4. Inspect in a timely manner after home is vacated. 5. Leave good instructions for the tenant concerning garbage pickup, etc. 6. Have licensed and insured vendors with Worker’s Compensation insurance or an exemption issued by the state for all your maintenance and repair needs. These and other tips can save you thousands when renting out your home for short term and long term. Call us with any questions you may have. Our property management department has years of experience and an expert staff. We serve our clients’ needs on a year round basis. We will take care of the details, file the necessary documents with the state to keep you legal, find you a great tenant, get the lease prepared, and send you the money. Let RE/MAX Premier Realty keep you out of hot water, and keep your home occupied. Visit our website at www.RentTheVillagesHomes.com or call us at (352) 460-4633 or toll free at 888-960-7855.